Have you ever dreamed about starting something new, learning something new, or jumping out of your comfort zone to shake things up a bit?! I bet you’ve also felt a multitude of emotions when you started to even just dream about that something new . If you’re anything like me, you felt emotions like excitement, hope, happiness and fear. Yup. Fear. It’s the single emotion or feeling, that holds people back from trying something new. Fear is an innate emotion that pops up, which we all have experience with when we are pushing ourselves out of our comfort zone. Why do we feel fearful? Fear is a signal to our body alerting us to dangers. It’s there to keep us safe. Safe from what?! When we were societies of hunters and gatherers (I have a major in sociology, and a minor in Anthropology), we needed to be safe from predators for example. So that little nudge inside, made us feel fear, and react with protecting ourselves by hiding, or running or to help us prepare to fight back. It gives our bodies a surge of adrenaline, that fight or flight response, and if we don’t burn that rush of adrenaline, it leaves us feeling anxious and scared. 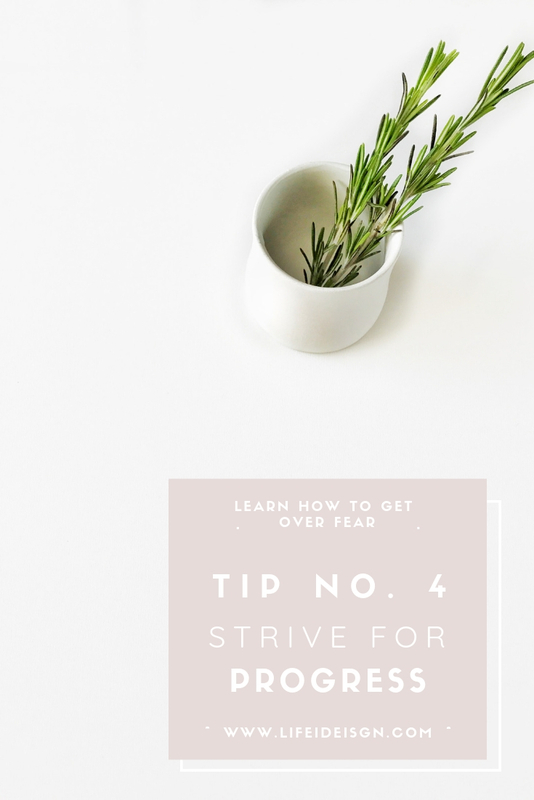 In this day and age, when that fear pops up, and makes our gut feel uneasy, we often let it take over making us shy away from trying something new. Not life threatening circumstances, but out of the box, emotional fear. My personal experience with fear. 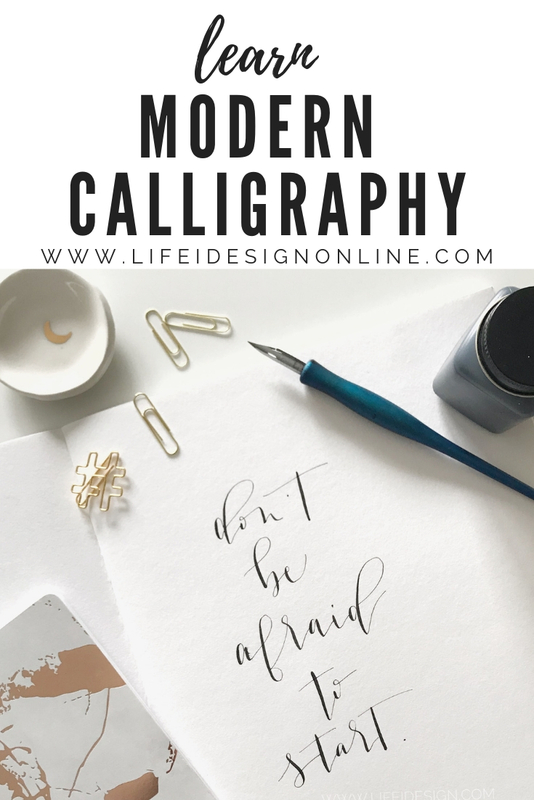 When I decided I wanted to build a business from selling my art, and that I wanted to blog about it and share everything publicly, online and off, I was scared! I had no idea what I was doing or how I was going to accomplish what I dreamed about doing. Living a life that I designed. I wanted to create art. Sell art prints. Blog about what I experienced and learned along the way. So I pushed that gut feeling of fear that popped up multiple times a day and I went to work. Even though I had NO IDEA what I was doing. And I was about to do it publicly. For everyone to see, judge and witness. So, little by little, I learned how to build a website from scratch. I took courses teaching me new art techniques that I never learned during my days in art school. I read, and learned and put into practice everything I absorbed. I pushed away that fear over and over again. It would pop up every day, multiple times a day to warn me about the dangers of stepping out of my comfort zone and possible public failure! Being bigger than fear is what makes me hit publish with every blog post, every social media post and photo that I share of my artwork. I still to this day, have fear pop-up daily making me second guess my talent, my skills and my abilities. If I didn’t learn to control that fear and become bigger than my fear, I’d still be miserable with how I spent my days and how I earned a living. Let me tell you, I was becoming a cranky, pissed off mom, friend, wife and daughter. I caught myself snapping a people, having a negative perspective on life in general and feeling down about everything. How do we get over the fear? I’ve learned to be bigger than my fear! I let the fear pop up as it needs, then I pause and ask myself “What’s the worst thing that could happen?” if I hit share, publish or launched a new art piece. With each experience, I become more in control. With each bout of fear, I learned that I wasn’t in danger, and that my life wouldn’t end if I did this one new thing. Once you let the fear come up and do the task anyway, you quickly learn that you are safe. That nothing bad will happen and that you learn to figure out your next step! I learned a few tricks over the years to help get over fear and am excited to share them with you now! Learn how to get over your fear of trying something new! First, when you are dreaming, deciding to try something new, learn a new skill or start a new business, and that fear pops up, you need to STOP. Stop in your tracks. Take a deep breath in, let it out slowly and ask yourself, “What is the worst that can happen to me?”, “Am I safe?”, “Am I hurting anyone?”, “Is anyone hurting me?”. If you answered “no” to all of these statements, you have a green light to hit the gas pedal and aim straight towards whatever it is that you are trying to do! When you stop, breathe and get into your logical state, you can use a clear head to decide if this is something that you really want to put effort in and pursue and let fear know that it’s ok, you’re safe and good to go! Second, fear might be clouding your judgement and path for the next steps. Fear might be saying, “yeah, starting a business from home sounds like an amazing idea but I have no idea what I’m doing. So forget about it”. This is where you need to put fear aside and get a pen and paper, and start making a task list. Ask yourself questions about your new goal. What do you envision needing for this new business? What do you want to learn about? Then break it down into little steps. For example, I wanted to sell my artwork online, so I needed to figure out where I would sell my work. I researched online shops and Etsy kept popping up in my search results. Problem solved! I didn’t need to learn how to create my own site from scratch - technology wasn’t my thing then. It is now that I’ve learned a ton and have taken online course about websites and design over the years, but then, I had no idea! Getting clear about what steps I needed, allowed my research to be more specific, which lead me to a reasonable solution. Away with fear! So I opened an Etsy shop which didn’t require much more than typing skills and basic photography skills and I started selling my art in no time. Time and effort was something that I could handle! Third, respect your limited time and knowledge. Most important as far as I’m concerned. Nowadays, we want things super quick. It just seems like we consume information, products and images at a fast rate that we don’t give ourselves enough time to integrate what we’ve ingested. Give yourself a deadline, but make sure that it’s reasonable, and give yourself enough time to achieve what it is that you are learning. You will have a higher chance of achieving your goal of trying something new, if a tight deadline is removed. It often takes two or three times longer to achieve something than we initially realize. Life gets in the way. Most often things don’t go as planned, so if we give ourselves room for those things to occur and take up space in our lives. we will still be moving towards our goal at a reasonable pace and will be inspired to continue moving towards it. So let fear know that you have lots of time to learn, experience and explore. Fourth, and most importantly, strive for progress not perfection! I often experience the need for achieving perfection when teaching calligraphy workshops. My students see all the beautiful lettering online and want to go from not knowing how to hold the pen, to not knowing how to form a letter correctly to wanting to write prose in perfect, beautiful calligraphy as quickly as possible (back to reasonable deadline tip no. 3)! Well, I’m here to tell you that with anything, perfection isn’t the goal. Practice, practice and practice are! Practicing something new will create progress, progress and continual practice will help you get better. Perfection is a dangerous goal and for the most part, you are setting yourself up for failure. Fear will stop you, and tell you that something is imperfect over and over again! If I waited to launch life i design until it was perfect, I’d still be waiting to launch. If I waited to share my online classes when they were perfect, I’d still be editing and working on perfecting them. Perfection can be a dream killer and a fear booster! Say no to perfection, and yes to progress! Those are my top 4 tips that I still use to this day to help me move away from the fear of trying something new! I hope you’re inspired by my tips and own personal story and have learned how to get over your fear of trying something new! If you do, you will look back years later at what you’ve learned, accomplished, and created instead of looking back with regret. I promise! If you found this post to be useful, please share it with someone who you think is letting fear hold them back. Let’s empower each other and encourage each other to try something new! Subscribe to my newsletter to get blog posts like these and more directly in your mailbox! Get access to the private and free online Creative Library when you subscribe.